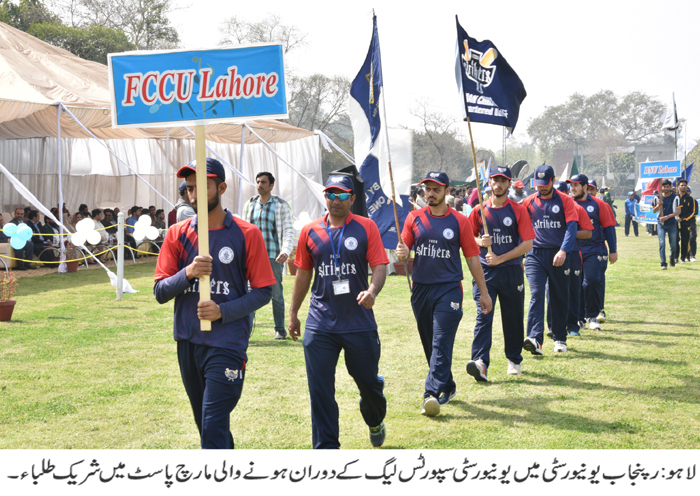 LAHORE: (Saturday, March 16, 2019): Punjab Minister for Higher Education Raja Yasir Hummayun kicked off University Sports League at Punjab University New Campus here on Saturday. 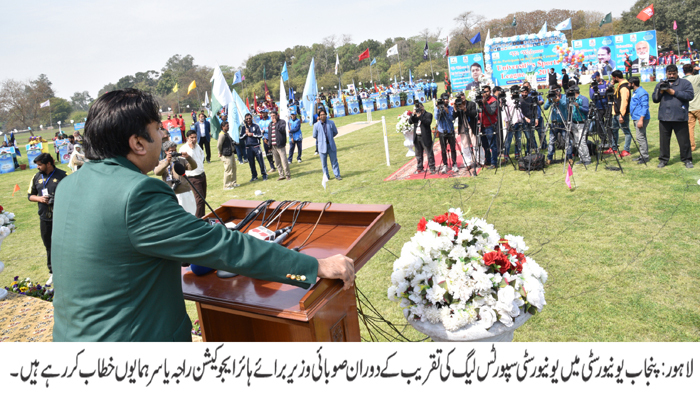 In this regard, a historic and graceful ceremony was organized at PU Law College ground in which PU Vice Chancellor Prof Niaz Ahmad, Higher Education Secretary Momin Aagha, Additional Secretary Tariq Hameed Bhatti, PU Director Sports Tahira Saleem, teams of 48 universities across the province, sports officials and a large number of players participated. 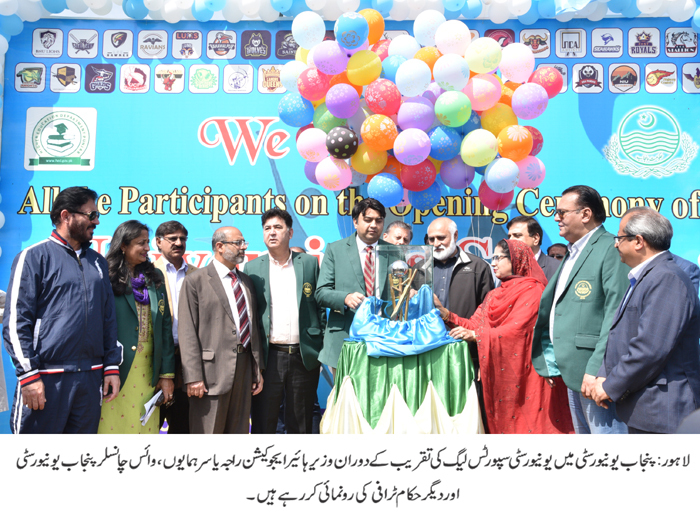 Addressing the ceremony, Raja Yasir Humayun said that this was for the first time that sports league was being organized in the universities of the Punjab which would produce players of international standards. He said that these sports activities would help bring international medals to Pakistan and would encourage players. He said that University Sports League would provide a positive platform to the youth so that they could utilize their energies in positive activities and polish their talent. He said that the success of University Sports League would lead to promotion of sports industry of millions of dollars as well. He said that University Sports League had begun with cricket while hockey, football, basket ball, athletics and other games would also be included in the league. He said that University Sports League would now be a regular feature and would be organized every year. He said that all the universities would take ownership of these sports competitions. He thanked administrations of all the universities especially Prof Niaz Ahmad for extending full support to organize University Sports League. In his welcome address, Prof Niaz Ahmad said that the Punjab government had set a new trend to promote sports activities and managed to organize such a mega event in few days. He announced that PU would sponsor all the awards for the winners of the competition which had been announced by the government. On the occasion, one minute silence was also observed to express solidarity with the victims of terrorist attack in New Zealand. Later, Raja Yasir Humayun and other officials unveiled University Sports League trophy. On the first day of University Sports League, the first cricket match was played between BZU Saints and Punjab University Panthers at New Campus cricket ground. PU Panthers defeated BZU saints by 70 runs. PU Panthers scored 221 runs in twenty overs while BZU Saints could make only 151 runs.